Music isn’t a normal career: Thousands of people dedicate their whole selves to hone their craft, get the right eyes and ears on their songs, find the right team, and hope that they get the chance to be that one-in-a-million artist who quits their day job and sustains themselves on their first love. The goal is survival, and the game is surrender – and truth be told, this goes for so many aspects of life in our 20s. We live under constant pressure to perform, exceed, excel, and be our best selves at all times. London’s Georgia Meek releases the tension of life’s pressures in her impassioned song “Pray,” a vibrant explosion of color and creativity. Coarsing with unhinged energy and ready to burst, “Pray” is a shout-out-loud anthem perfect for moments of stress and anxiety. 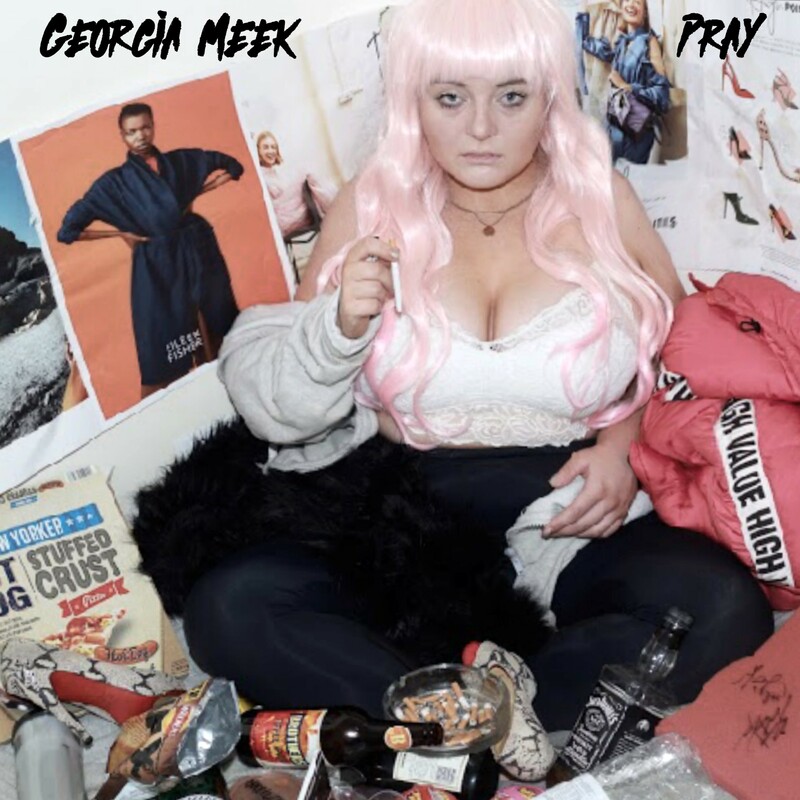 Atwood Magazine is proud to be premiering “Pray,” Georgia Meek’s fourth song and her first release of 2019. Following indie pop bangers as “SWIM,” “Bare,” and “Right Kind of Wrong,” “Pray” finds 23-year-old Meek continuing to refine her sonic signature. She flexes her massive vocal strength over dynamic synths as rich vocal harmonies fill the air with intimate emotion. In premiering Meek’s song “SWIM” featuring Katie Mac in May 2018, Atwood observed the artist’s ability to capture “the electricity of sexual exploration and empowerment in an anthemic outpouring of indie pop energy.” In the interest of not mincing words, “Pray” is yet another anthemic outpouring of indie pop energy – this time, in the form of tension’s release. “Pray” is infectiously bombastic, a massive explosion of emotional energy from an artist always on the edge. She’s been at this for years, yet as far as listeners are concerned, Georgia Meek is just starting off; for her, the fact that you’re reading these words alone is a major accomplishment – and yet, it’s only the very beginning – a mere stepping stone in the eyes of a musician’s career. But careers are not made overnight, nor are they sustained by sheer willpower alone. Meek is giving her life to her art and artistry, and her sacrifices resonates throughout the spectacular “Pray.” Stream this exhilarating thrill exclusively on Atwood Magazine, and stay tuned for more from this rising artist as she continues her exciting ascent throughout 2019! And to Georgia: Take a breath! You’ll get there.